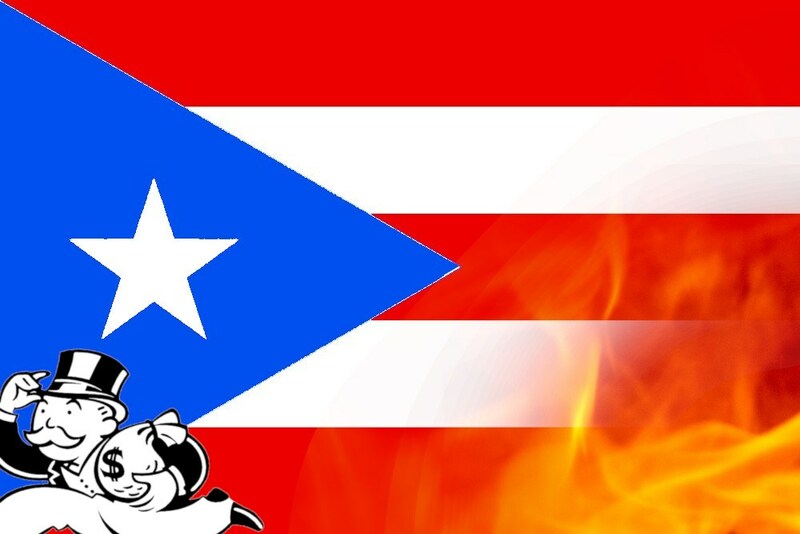 Hurricanes Irma and Maria left Puerto Rico in tatters, but it would be a mistake to blame the weather for Puerto Rico's suffering; Puerto Rico was put in harm's way by corrupt governments doing the work of a corrupt finance sector, then abandoned by FEMA, and is now being left to rot without any real effort to rebuild its public services so that they can be privatized and used to extract rent from the island's residents. As Naomi Klein writes in The Intercept, this wasn't an "Act of God." Men -- greedy men -- laid off the skilled electrical workers who were needed after the storms; greedy men gave relief contracts to politically connected grifters who pocketed the money and did little or nothing for it; greedy men switched Puerto Rico from growing substistence crops to cash crops, leaving them starving when the island's only port closed; greedy men decided to make the island dependent on fossil fuels rather than solar, wind and waves. That is why dozens of Puerto Rican organizations, under the banner of JunteGente, are standing together to demand a different future. Not just a little bit better but radically better. Their message is a clear one: that this storm must be a wakeup call, a historic catalyst for a just recovery and just transition to the next economy. Right now. That begins with auditing and ultimately erasing an illegal debt, and firing La Junta because its very existence is an affront to the most basic principles of self-government. Only then will there be the political space to redesign the food, energy, housing, and transportation systems that failed so many — and replace them with institutions that truly serve the Puerto Rican people. This movement for a just recovery draws on local brilliance and protected knowledge to make the most of the richness of the soil, as well as the power of the sun and wind.